Applications are now being accepted for 2019. Read the full submission timeline here! Do you have an HRM project? Read the Submission Guidelines and learn how to submit your application for an HRM Impact Award. 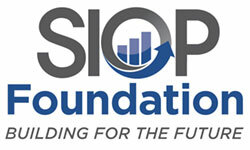 The Society for Industrial and Organizational Psychology (SIOP) and the Society for Human Resource Management (SHRM) share a deep commitment to promoting human resource management practices that contribute to the success of today’s global work organizations, making them better places in which to work. Both societies also share a belief that the way to improve practice is to publicize the best available evidence regarding the usefulness and impact of successfully implemented innovative HRM initiatives.The HRM Impact Award was designed with this in mind. In addition, the winner of the HRM Impact Award will receive a plaque presented at SHRM and SIOP events and be recognized in various media outlets highlighting the award and the innovative HRM practice or initiative. Congratulations 2018 HRM Impact Award Winners! PepsiCo and Amazon were announced the winners of the 2018 HRM Impact Award October 11, 2018. PepsiCo will be honored October 19, 2018 at the SIOP Leading Edge Consortium in Baltimore and Amazon will be honored in April, 2017 at the 34th Annual SIOP Conference in National Harbor, Maryland. Learn more about this year's winner here.